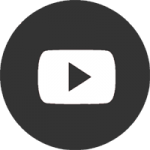 Kirstin Kelly Equestrian "﻿﻿﻿﻿﻿﻿﻿﻿Y﻿our hor﻿﻿﻿se﻿﻿﻿﻿ and rider training﻿﻿ ﻿﻿﻿partner﻿﻿﻿"
"﻿﻿﻿﻿﻿﻿﻿﻿Y﻿our hor﻿﻿﻿se﻿﻿﻿﻿ and rider training﻿﻿ ﻿﻿﻿partner﻿﻿﻿"
My vision is to inspire every rider to improve through a collection of training and informative video guides. I teach you to teach yourself and your horse. 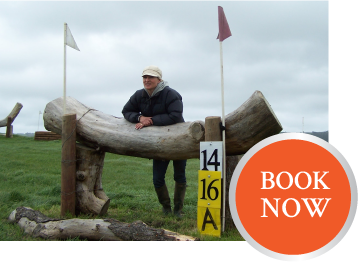 Following a successful career in three-day eventing, I developed a passion for coaching. A grid to improve confidence and focus. How to teach Rein back . 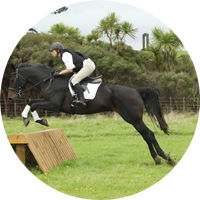 Jumping a skinny to train your horse to focus. 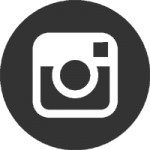 If you appreciate the content I am creating then ‘become a patron’. You can make a one off donation to buy me a coffee or make it a regular thing each time I put out a new video. Being a ‘patron’ means you get to see the videos first and you will also get ‘patron’ only benefits. You can’t always have a riding instructor at every training session with your horse, so my new workshop methodology has been created to teach you the skills to train your horse. 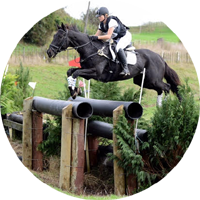 In my capacity as editor of NZ Horse & Pony magazine, I have attended clinics and lessons with a large number of trainers, both local and international, and I believe there are very few who are close to Kirstin in terms of her ability as a coach. I have attended clinics and lessons with a large number of trainers, both local and international, and I believe there are very few who are close to Kirstin in terms of her ability as a coach. She is always positive, and has the same degree of enthusiasm and encouragement, regardless of the level one is riding at. I always come away feeling positive from a lesson with Kirstin.